While a recently released report from the Canada Mortgage and Housing Corporation (CMHC) indicates a 2.4 percent rental vacancy rate nationwide-down from 3 percent in 2017 and 3.7 percent the year before-the numbers in Winnipeg and Regina point toward some challenges for landlords and multifamily residential property managers. Given the increasing strength of rental markets in many other parts of the country, Winnipeg and particularly Regina are faced with renter's markets heading into 2019. According to the CMHC report, vacancies are up in both cities, which means better selection for renters, who can afford to be more selective and potentially negotiate lower rents as they search for new places to call home. Especially in Regina, the uptick in vacancies is due to the construction of purpose-built rentals. This means that landlords will need to do more to distinguish their properties if they hope to attract tenants, who will have their pick of potential properties. As of October 2018, Regina's vacancy rate sits at 7.7 percent, up from 7 percent one year ago. Winnipeg's vacancy rate, meanwhile, is now at 2.9 percent, compared to 2.8 percent in 2017. In Regina, an average two-bedroom rental goes for $1,130, while in Winnipeg it's $1,179. This isn't the case everywhere across the country. Canada's overall rental vacancy rate is down to 2.4 percent, while the national average rent is $1,025 for a two-bedroom unit, up from $989 last year. Changes across the country are being driven by an increase in international migration (as new residents typically rent before buying), an improved job market (as younger people move out of their parents' homes and rent for the first time) and an increase in the population of people over 65 (who opt to sell their homes and move into rental housing). While growth is happening in many markets across Canada, this is not generally the case in Winnipeg and Regina. The Winnipeg market has experienced a correction following a boom, and the trend across the year is a decline in the market. Demand is down across all segments, with home sale prices decreasing and stock increasing. Regina, meanwhile, has some of the country's highest vacancy rates, and saw its rental prices drop in 2018. What this ultimately means is that property managers in Winnipeg and Regina need to be savvier to attract tenants and reduce vacancy rates. Highlighting a property's unique benefits, targeting marketing efforts to the right demographics and increasing social media efforts can all help property managers get leases signed, put tenants in units, reduce vacancies and make their properties more competitive. Perhaps trends in Regina and Winnipeg will reverse, and demand for rental units will more closely match up with existing supply. 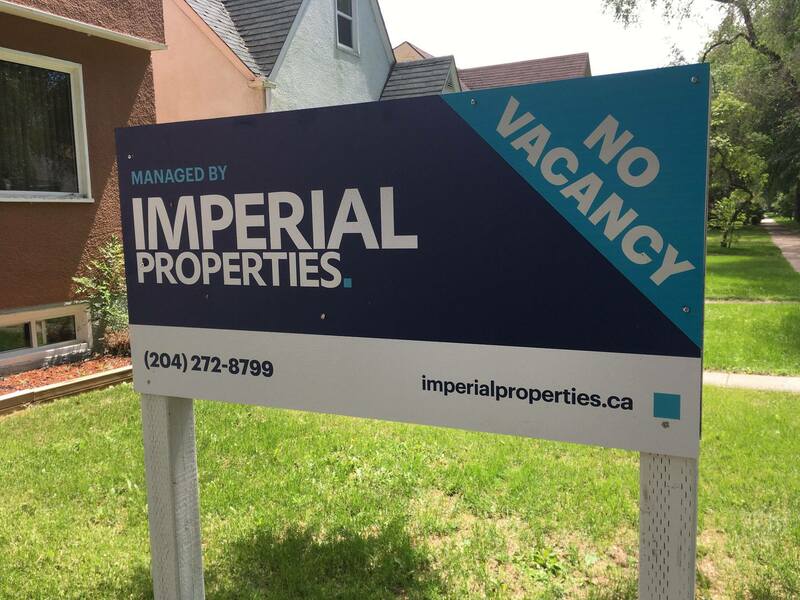 However, if the current renter's market goes on much longer, more and more landlords will begin seeking the assistance of experienced property managers like Imperial Properties to help them fill their rental housing stock. Imperial Properties handles a broad range of property management services for multifamily residential communities, including both apartments and condominiums. We've established a strong reputation in Western Canada thanks to our knowledge and understanding of the many facets of multifamily property management. To learn more about how we can serve your community, please reach out to us today.